So let me ask you... have you ever had baked banana pudding? 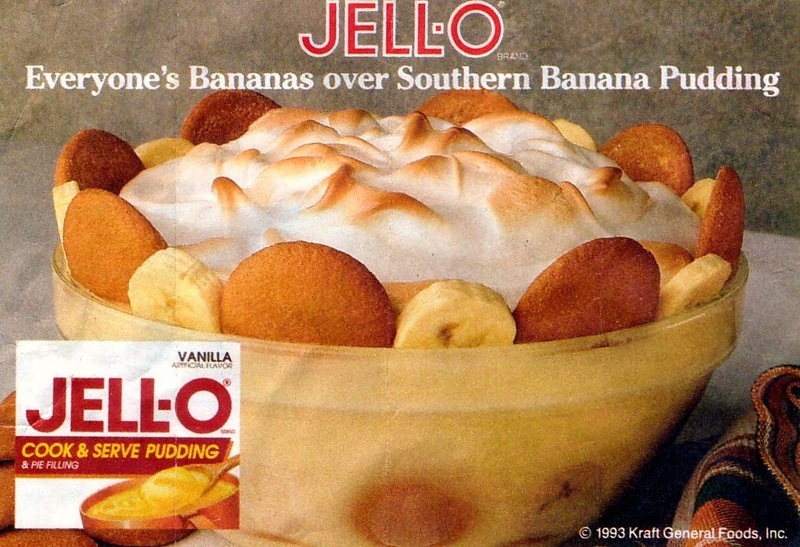 Most folks have had all kinds of cold banana pudding. Which lets be honest... banana pudding is a yummy treat straight out of the refrigerator. But the best version I have ever had.... is the one straight out of the oven. I recently stumble across the original recipe from Jell-O. It is their Southern Banana Pudding recipe that I use and adore. 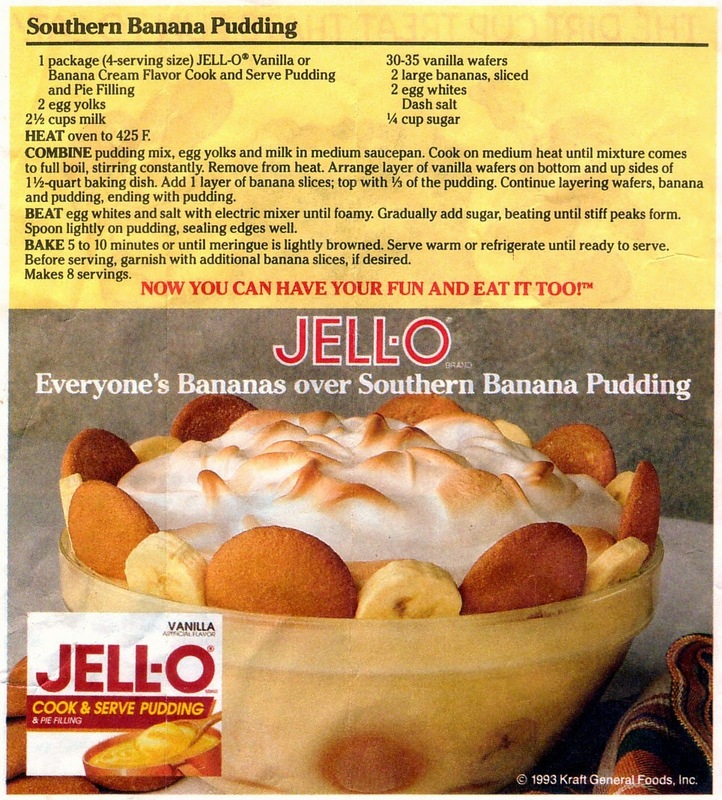 And I feel like sharing the recipe for the perfect bowl of Banana Pudding. This is one of my standard desserts, I make to impress guest with. I have an larger older crock mixing bowl (with the lower sides) that I prepare it in. And I double the Jell-O pudding part. (I use two boxes of pudding***) This makes a big crazy size of banana pudding. But none of it is ever left over. This is not something I will make and travel with the bowl. That bowl is too dang heavy even hauling it around the kitchen. I would never drag it out of the house packed full of pudding. Be sure to use fresh cooked vanilla pudding. Never substitute instant pudding for the real thing. And I use Fruit Fresh on my banana's after I have sliced them up. I detest the sight of slippery brown banana slices. And those slices will start to discolor immediately. Even before you have the time to piece this dessert together. So I sprinkle Fruit Fresh on both sides. And they stay all pretty and firm. I tend to use 3 banana's also. I finally learned how to whip egg whites and sugar properly for this recipe. Because the meringue being perfect is important to this dessert. Getting those peaks perky... make this a pretty presentation. I do remove the higher rack in the oven. I always place the crock on the lower rack, to make sure the meringue topping does not burn. Lets be honest... burnt meringue is not a good thing. Yes, I stand guard at the oven door to prevent burning. I love baked banana pudding. I have only ever had it a this one restaurant and have never seen it anywhere else. I have a childhood friend, whose Mother made it the first time I saw it at the age of 10. And she taught me how to make it a couple years later. So I had it written down on a piece of old notebook paper. I did not know it was a Jell-O recipe until I came across this print version of it. But it is an incredible little treat to have for a large family dinner.